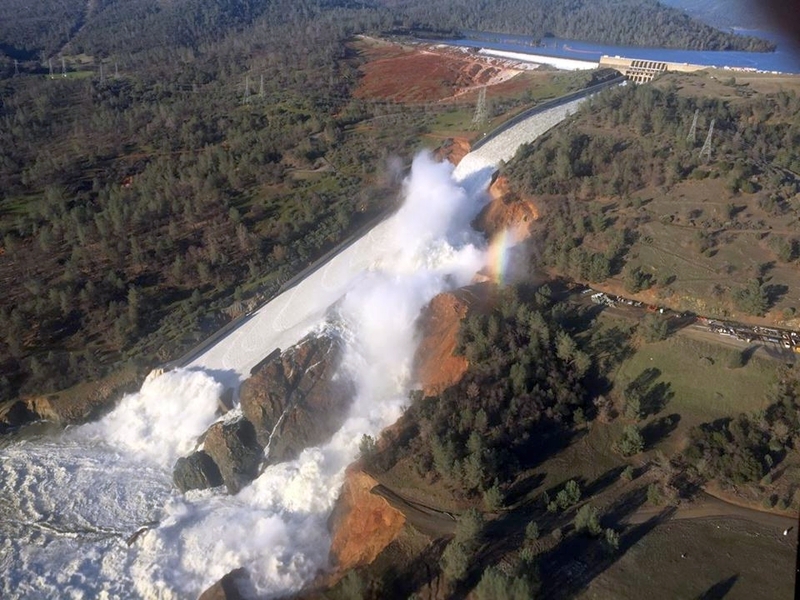 SACRAMENTO, Calif. (CN) – Fortification costs for the nation’s tallest but flawed dam have spiked to over $1 billion, California officials said Wednesday – a figure more than five times original estimates. The state and its contractors have been scrambling to repair Oroville Dam’s busted flood-control systems following a near-catastrophic spillway failure that forced nearly 200,000 Northern California residents to flee in February 2017. 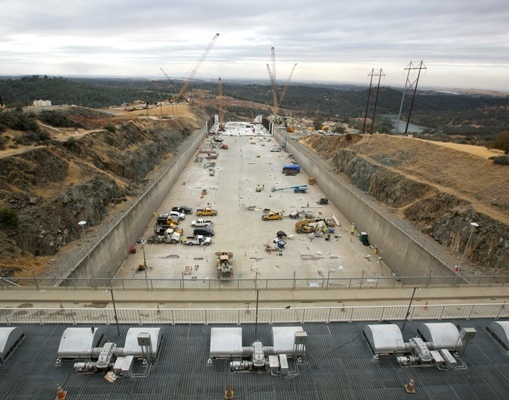 In a monthly repair update, the California Department of Water Resources pegged the price tag for the reconstruction of the dam’s main and emergency spillway at $1.1 billion, up from an initial estimate of $200 million. Crews are also on track to meet a Nov. 1 “public safety” milestone and have the main spillway safely operational before the rainy season. 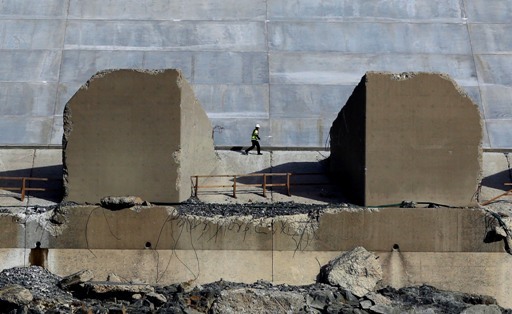 Department spokeswoman Erin Mellon said the total cost could still fluctuate as crews continue to remove massive amounts of debris below the two damaged spillways. “As with any project of considerable magnitude, cost estimates are affected by conditions onsite and direction from regulatory bodies throughout design and construction,” the department said in a statement. Assemblyman James Gallagher, whose district includes the dam, says he’s “not surprised” about the inflated repair costs and cited California’s notoriously expensive infrastructure projects. “This is our government’s M.O. ; you talk about the bullet train, you talk about all these different projects and they seem to continue to go over budget every time,” Gallagher said in a phone interview. “The Oroville Dam spillway failure disrupted lives and caused the evacuation of nearly 200,000 people – this cannot happen again,” Nielsen said in an email. The 770-foot dam’s spillway cracked and eroded following a series of powerful winter storms, forcing officials to use the untested emergency spillway for the first time since the dam opened in 1968. For more than 30 hours, flows gushed over the crude spillway in a desperate attempt to divert flows from the stymied main spillway. The tactic stalled and with the emergency spillway threatening to erode completely, the entire city of Oroville and other farming communities below the dam were quickly evacuated. Oroville is 69 miles north of Sacramento and 23 miles southeast of Chico. Fortunately, the weather cooperated and evacuation orders were lifted after a few days. The state continued to use the obliterated spillway throughout the rest of the rainy season before assigning the repair job in spring 2017 to Kiewit Infrastructure West Co. of Nebraska for $275 million. In wake of the crisis, a team of independent experts pegged design flaws and human error as the main root of the spillway failures. Their report found that no specific agency should be “reasonably blamed,” but cited “long-term systemic failure” within dam operator. “The fact that this incident happened to the owner of the tallest dam in the United States, under regulation of a federal agency, with repeated evaluation by reputable outside consultants, in a state with a leading dam safety regulatory program, is a wake-up call for everyone involved in dam safety,” the report concluded. The federal government has picked up some of the repair tab so far, approving $87 million of the state’s $116 million reimbursement requests. The department says it will continue to submit expenditures to the Federal Emergency Management Agency as repairs continue. Gallagher recently visited the dam and met with the contractor and department. He says he’s confident in the repairs but that the department has a long way to go to earn back the trust of his constituents. “Going forward, how this thing is operated and maintained is the big question,” Gallagher said. Meanwhile on Tuesday, a report released by the Department of Water Resources’ dam-safety division listed just one of California’s 1,246 dams as unsatisfactory in terms of safety: Oroville. It’s the second year in a row the dam’s received the unsatisfactory rating, though the department expects it will go back to a satisfactory rating once repairs are finally completed.